Despite full care and supervision risk remains an uncontrolled factor. Hazards and accidents can always occur. While preventing this altogether is a bit challenging, however, a follow-up caution can make a huge difference. Heartsaver courses are designed for anyone with little or no medical training who needs a course completion card for job, regulatory (for example, OSHAD), or other requirements. These courses can also be taken by anyone who wants to be prepared for an emergency in any setting. For many Heartsaver courses, students receive a course completion card that is valid for 2 years. Successful candidates will be awarded a qualification in Basic Life Support, valid for 3 years and certificated by TUV Southwest Training Systems. Don’t wait anymore! For best Aid training in Dubai, Abu Dhabi, Sharjah or anywhere else in UAE, Please contact us at +97142668808. Over few years we have expertise ourselves in providing training for first aid. We demonstrate a high level of competence in the delivery and management of certified first aid training programs to meet international standards and UAE legal requirements as well. 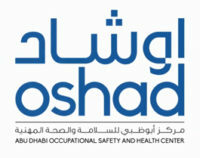 We are fully compliant with Occupational safety and health Abu Dhabi (OSHAD) and aware of environment health and safety management frameworks as well. Contact TUVsw and avail one of the knowledgeable expertise and get yourself fully equipped with the same.